It is all about transparency. I have always believed that things should be honest and done by the book. Writers through SocialSpark are now being paid by the Aruba Tourism Authority to write about Aruba on their blogs. I have no idea how much money they receive. I doubt many, if any of the writers have even visited Aruba. But just as a note to all of my blog's fans, this writer accepts no payment or compensation for any of the mentions, articles or recommendations I make on the blog or on my website. Ad earnings from all of my blogs and websites go towards paying for server space and domain registrations costs for my websites. The Aruba Bound! site is my main site, however my other sites such as Weddings in Aruba do not earn enough money in ads to pay their own way for hosting so Aruba Bound! supplements the cost. My dh and I foot the bill for the difference, including of course our travel to Aruba including accommodations, airfare and meals. We love Aruba pure and simple. I just wanted to be upfront with all of my readers. Is Travel Insurance a Smart Bet for Your Vacation? Hurricane season in the Atlantic begins June 1st and ends November 30th. Aruba, Bonaire and Curaçao are on the southern fringes of the hurricane belt. They are not outside the hurricane belt as many consider. History learns that roughly once every 100 years considerable damage is experienced by tropical cyclones passing over or just south of the islands. Visitors to Aruba can get hands-on with the Dutch Caribbean island’s ground-breaking green initiatives with the annual reef care project in September. PRLog (Press Release) - Jun. 17, 2013 - Visitors to Aruba can get hands-on with the Dutch Caribbean island’s ground-breaking green initiatives with the annual reef care project in September. Started in 1994, the Aruba Reef Care Project was one of the island’s most ambitious environmental projects to involve both tourists and residents. It now forms just one of a series of measures aimed at making Aruba a world-leading ‘green’ destination. Taking an international trip with your iPhone by your side? Don't have a smartphone but want to take one with you? KeepGo is the first International 3G Internet Provider. They offer iPads and iPhones to use internationally including Aruba. If you own your own Apple mobile operating system, you can order a replacement SIM card for your own device saving money over using your own provider. At the completion of your trip, send the device back and you are finished. 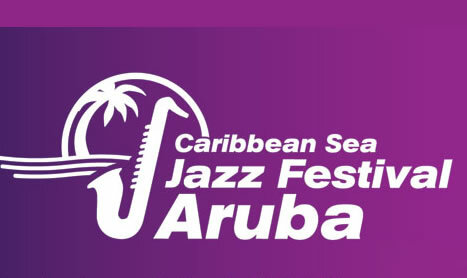 The Caribbean Sea Jazz Festival is moving to a new location for this year's 7th festival. The new stages will be at the Renaissance- beachside open air Main stage, a 2nd stage opposite of Café Plaza and the indoor Renaissance Conference Centre stage. What Will Ritz Aruba Pricing Look Like? There are many guesses surrounding potential pricing for the Ritz Aruba. I tried to break down what pricing may look like based upon pricing prices at a comparable island, Grand Cayman, and used pricing for the Ritz Grand Cayman. All prices in USD, PER NIGHT & Include ALL taxes & DAILY resort fee of $50 USD "added to rate includes high speed Internet access/valet parking/water activities and more!" Travellers to the Caribbean this summer could face disruption to their holidays, with meteorologists predicting a lively hurricane season.